This Window Holographic Film with beautiful patterns increases the luxury and beauty of the place where it is used. Manufactured in compliance with the industrial standards, the quality of this offered product is never sacrificed. With an utmost efficiency to heat or cool an area, the offered film leaf is highly appreciated in the market and is provided to the clients at a very reasonable rate. 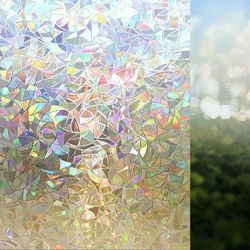 This Decorative Window Glass Holographic Film with beautiful patterns increases the luxury and beauty of the place where it is used. Manufactured in compliance with the industrial standards, the quality of this offered product is never sacrificed. With an utmost efficiency to heat or cool an area, the offered film leaf is highly appreciated in the market and is provided to the clients at a very reasonable rate. This Window Holographic Film for Decoration with beautiful patterns increases the luxury and beauty of the place where it is used. Manufactured in compliance with the industrial standards, the quality of this offered product is never sacrificed. With an utmost efficiency to heat or cool an area, the offered film leaf is highly appreciated in the market and is provided to the clients at a very reasonable rate. This Decorative Frost Window Glass Film with beautiful patterns increases the luxury and beauty of the place where it is used. Manufactured in compliance with the industrial standards, the quality of this offered product is never sacrificed. With an utmost efficiency to heat or cool an area, the offered film leaf is highly appreciated in the market and is provided to the clients at a very reasonable rate. 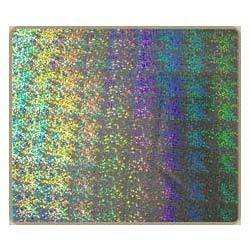 This offered Holographic Paper is widely used for the purpose of making wrapping paper and labels. Manufactured in compliance with the industrial standards using quality raw materials, this product is quite long lasting in nature. Owing to its unmatched quality, reasonable pricing and lay flat property, this product is highly praised and preferred in the market. 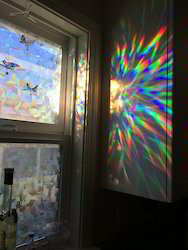 Looking for Window Holographic Film for Decoration ?